New York, March 28: New York has set the record of the worlds tallest politician, after already holding Guinness World Records for the most billionaires and for being the most Instagrammed city. 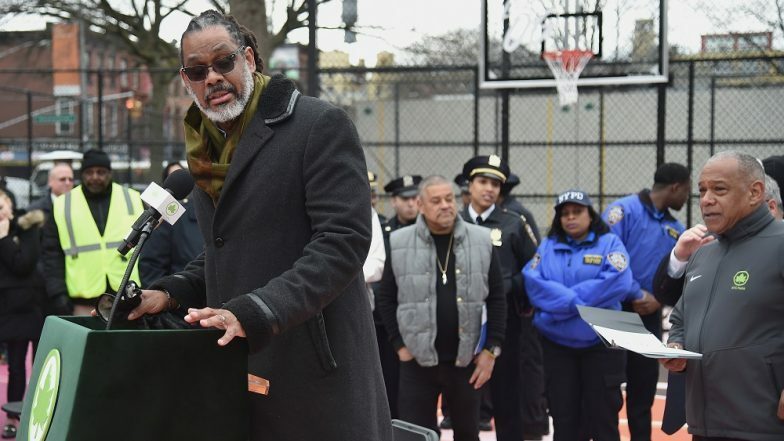 A former professional basketball player, Robert Cornegy Jr., a city councilman who represents Brooklyn, 53, stands tall at 6-foot-10 inches, reports The New York Times. "What I went through to get this measurement was borderline ridiculous," said Cornegy, who will receive the designation on Wednesday at a ceremony at City Hall. "But I think it was worth it to bring that designation to New York - and Brooklyn." Getting certified as "the world's tallest politician (male)" was no easy feat. Guinness requires the record-holder to submit official height verification. Cornegy went to his former trainer at St. John's University, but Guinness did not like the tools the trainer used. He then turned to the doctors at Interfaith, which is in his Council district. World’s Tallest Man and the World’s Shortest Woman Come Together in Egypt for an Unusual Reason. His height was recorded while he was lying on the floor, which generally produces a greater measurement because it relieves pressure on the vertebrae, and while he was standing with his heels and shoulders against a wall. Guinness officials said Cornegy is now the official record-holder, beating Louis Gluckstein, a London politician who died in 1979, by two and a half inches.